Beginner flute ensembles can be tricky things to run as the standard can very quite widely. Starting with a popular tune that everyone will love gets everyone engaged immediately and they don't come much more popular than this! The arrangement has to be good though, and you wouldn't expect to find anything less from Mel Orriss. 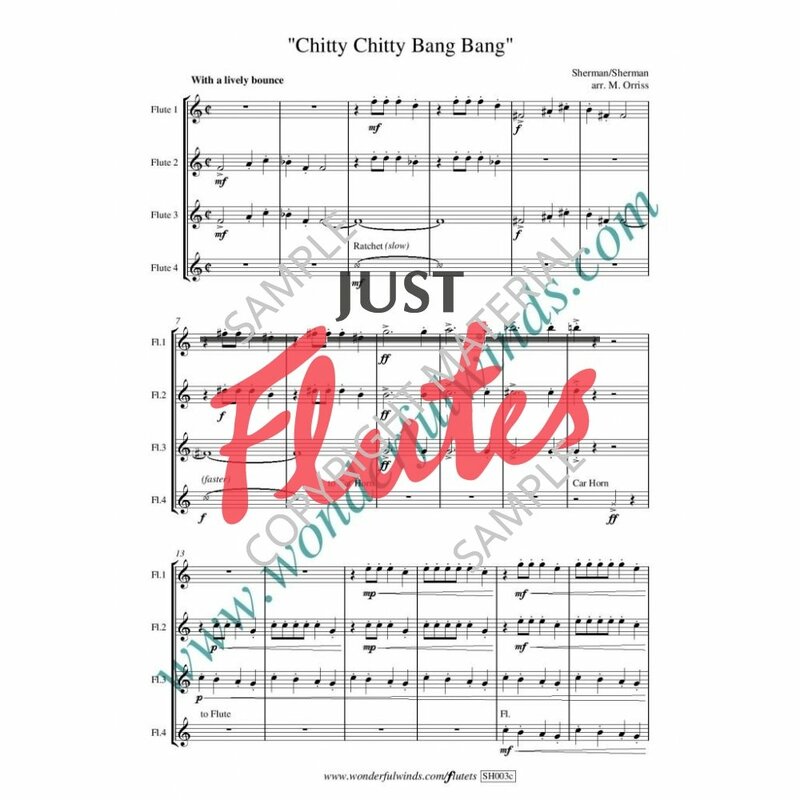 The lowest part is cleverly pitched for a novice with a winning combination of easy rhythms, a small note range and an imaginative use of percussion instruments. I'm sure you could use anything that comes to hand here if you can't find the right ones in the cupboard! There's interest in the other parts too and you'll probably find your grade eights wanting to join in! A sure-fire crowd pleaser - parents will be overjoyed to hear this at a concert! An ideal first ensemble piece for early grades. 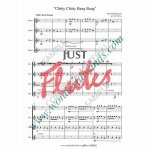 The 4th Flute part uses only F. F#, G, A, B, and C but features 5 different "percussion" instruments, including Car Horn and Siren to give the complete beginner a chance to practise their counting and have some fun to boot! Plenty of interest in the other parts too to keep everyone busy.